Only showing entries about spain from Destino Infinito. 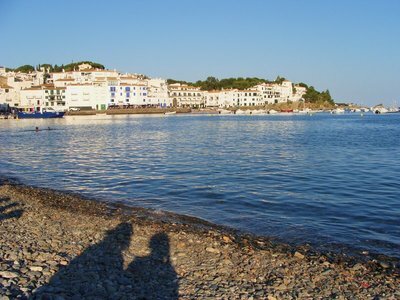 View entries about spain from all Travellerspoint blogs. Last week an eleven-year-old English student of mine excitedly told me that he had been on a school trip to some ‘really awesome’ caves just outside Barcelona. ‘There are caves near Barcelona? 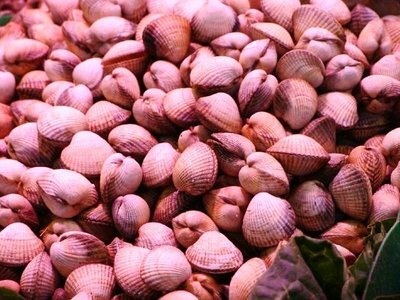 !’ was my initial reaction, since in the three years I’ve lived here, I’d never once heard of any. 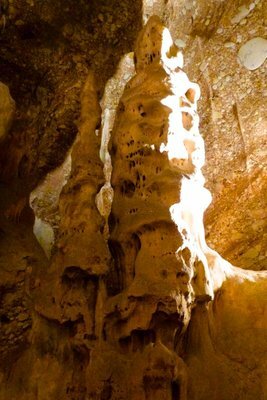 ‘Yes, Salnitre Caves, and they are reeeally cool! It’s just like Indiana Jones! And you can go down really deep and it’s really dark and really big and people say the Devil lives there!’ Bless him, he was practically bubbling with enthusiasm. I however, was perplexed. What, and where the hell were these caves? I asked myself. If they really were 'sooo cool', how was it possible that I was completely oblivious to them? How come nobody had ever told me about them? My friends here are so proud of everything Catalan, surely they would have made me go and visit these caves if they really were worth their salt? Needless to say, it was time to investigate. Google informed us that these caves were to be found in the vicinity of legendary Montserrat, so off we headed in its direction, hoping to find a signpost along the way that would point us toward this mysterious Salnitre. After a rather blind ‘hoping for the best’ type drive, we finally approached an informative arrow, a sharp bend and a steep and hair-raising climb. I dared not look down as we swirled around Montserrat’s rocky environs, but as the surrounding scenery became increasingly spectacular, I could sense we were on to something. Soon the road forked and offered two options - coves and centre historic. We decided on coves and soon pulled up at a dusty wooden booth that served as Salnitre ticket/information office. We had at least clarified then, that the caves did exist. The young man who served us seemed bored stiff, but I guess that was understandable being stuck in a glorified box all day, no matter how amazing the views are. 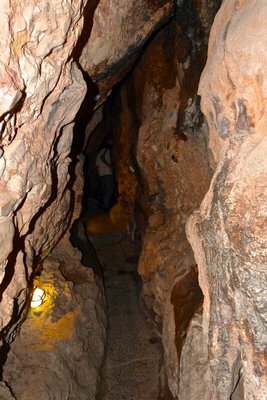 He informed us that a tour of the caves was about to start and that we should hurry on up to the entrance and join in. We took his advice, but ‘hurrying on up’ was easier said than done. The path became increasingly steep and stony and the midday heat of the sun had decided to play havoc with us. The higher we got however, the more spectacular the landscape became, and at a stone’s throw away in the distance we could see that there lay a quaint and sleepy medieval town. We decided that it would be a must for a post-cave lunch, and it gave us the nudge we needed to carry on. Before long the path gave way to a small stairway which lead up to the rock face and a dark, intriguing opening. Suddenly, out popped a chirpy young lad. ‘You here for the cave tour? Come on in!’. And so we followed. 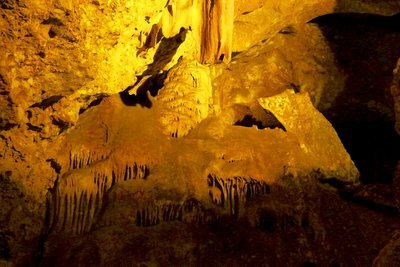 We were sat down for an introductory video about the history of the caves, and learned of a variety of curiosities, one of the most interesting being that the Catalan hero, Antoni Gaudí, had taken his inspiration for his Sagrada Famila from the strange and wonderful rock formations found in Salnitre. This caught my attention, and I was eager to once and for all delve into this mysterious cave. There seemed to be a strange promise hovering in the air, that whispered that we would not be disappointed, that we were about to discover a long lost secret. 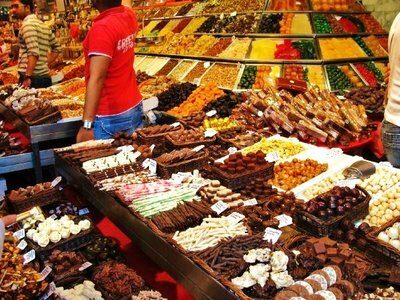 We followed Joan, our guide, down some cobbly, wobbly steps and suddenly found ourselves plunged into deep and astounding cavities. I was mesmerised. All around us vast, weird and wonderful stalactites and stalagmites dramatically shot upward from far below or fiercely protruded from high above. Sensational shapes, strange formations and fascinating labyrinthine passages lead us to a different world, a world we had only seen in films. It felt as though at any given moment a magical, monstrous being could pop out from nowhere, as though the rocks could suddenly come alive. Dark shadows were thrown into a plethora of shapes and sizes and the further into the cave we ventured the more they played tricks on the mind. We began to see creatures in the rocks, their faces, their bodies, haunting, fiendish, bewitching. I was perplexed as to how I had never heard of this place. How was it possible, that a place so beguiling, so intriguing was so far off the tourist radar? 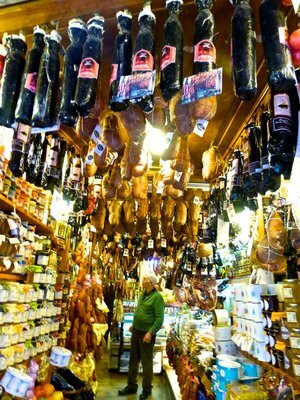 How was it possible that this was not one of the main attractions of Barcelona? We asked Joan, whose response was ‘people in the next village don’t even know about the cave, so you can hardly expect tourists to know about it’. But why? How can a place so fascinating be so unknown, be such a secret. In the land of white three-quarters. 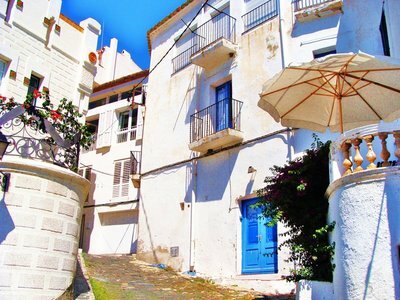 A mere 25 minute flight from Barcelona lies the tourist haven of Mallorca, famous for its glorious coastline of soft, sweeping beaches, balmy, azure waters, and secret coves known only by Sunday locals. 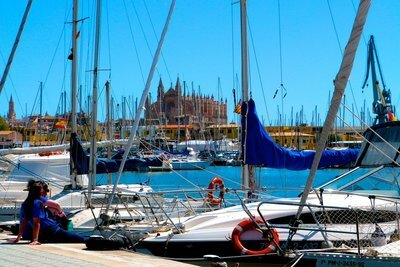 But for all the hype surrounding the holiday resorts, and for all the visitors that swarm there during the summer months, the capital city of Palma is by most, ignored. And so, given its ridiculous proximity, a friend and I decided to do something spontaneous for once and head on over for the weekend. And not long after we had left our apartment, as if it were only a commute, we were there, just in time for breakfast. We had decided that the focus of our stay would be food and wandering. 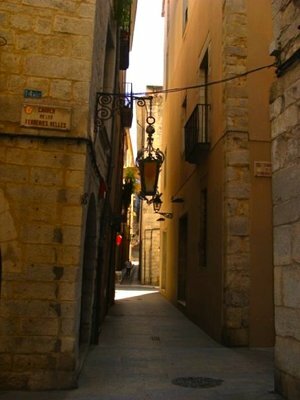 And so true to that we followed our senses through the old city centre in search of that perfect place. 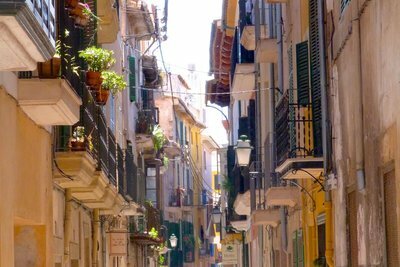 The first thing that stood out about Palma was its sensational colours. 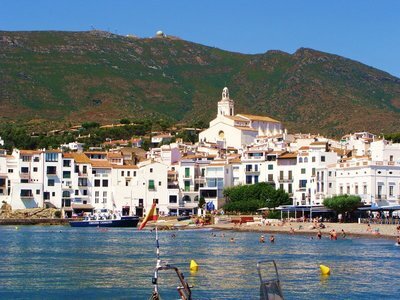 If you had to draw a child-like picture of ‘the Spanish Mediterranean’ it would surely look something like Palma. Zesty, orange and yellow painted buildings vibrantly displaying their multitude of warm shades and shadows, contrasting, or perhaps perfectly harmonizing with a deep sapphire sky. 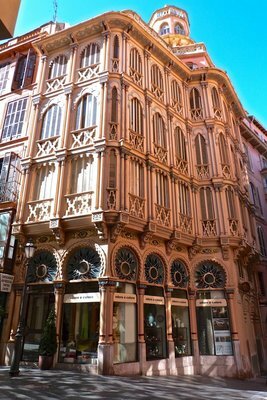 I was also enchanted by Palma’s scattering of old, tucked-away palaces, which must once have belonged to wealthy merchants. 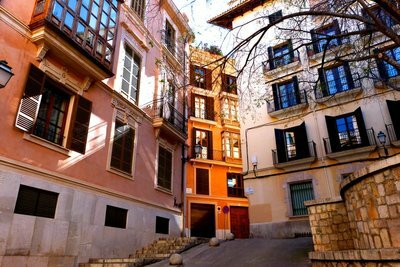 As we meandered the beguiling streets we often found ourselves popping out onto a square, and it struck me that Palma is in-fact a treasure trove of history. I glanced as the cheery passers-by and it seemed to me that the majority were middle-aged couples of the culture-vulture variety. And what better place to go for a weekend get-away? 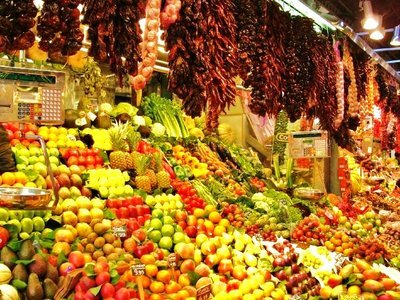 Exquisite Spanish cuisine, colourful, winding streets that please no end of curiosities, elegant boutiques and a staggering cathedral, all offering the perfect opportunity to spend time wandering, browsing, dining and basking in the delicious hues thrown from that invigorating Mallorcan sun. Perfect! But something struck me about these visitors. Something which initially merely caught my eye, but that eventually became a clear cultural fact to me – British tourists have a deep, undying passion for white three-quarter-length trousers. They were everywhere. Scenes of happy-chappy Brits in white cut-offs actually formed part of the Palma stage, and thus my conclusion was undeniable. I wondered why it is that when we go abroad to balmier climes we feel the need to don said item? What is it about them that we love so much? Peculiar, amusing, and strangely comforting, it filled me with thoughts of home. But ultimately confirmed that Brits, in the sun, are hilarious. It was time to move on and so we headed in the direction of the cathedral. 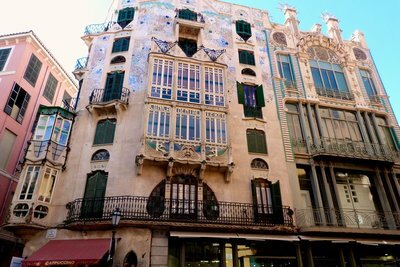 Known for it’s dramatic positioning and theatrical design it is the focal point of the city and top of the Palma to-do list. It stands tall, proud, and seen from below or from further down the coast is a dramatic welcome to and emblem of the city. Triumphantly poised, high above, it seems indestructible and can’t help but impress. Its intricate design fascinates and obliges us to take countless photos, each time hoping to capture that perfect, postcard-worthy shot. The problem I found was that since the cathedral is so big, I couldn’t actually get the photo I wanted, as it wouldn’t fit in the camera frame. 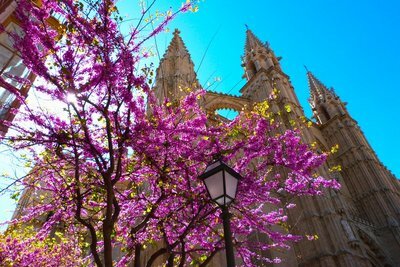 It just went to prove that Palma cathedral must be one of the most spectacularly located in the world, and is undoubtedly worth the visit. 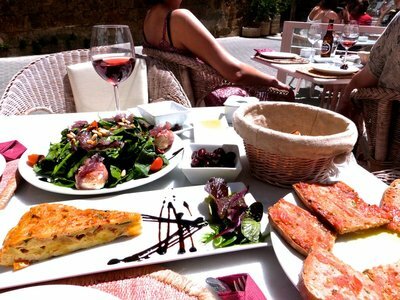 Soon it was time for another gastronomic pause, and a long Spanish lunch of salads, breads, tapas, and refreshingtinto de verano was the perfect way to wile away a few hours. 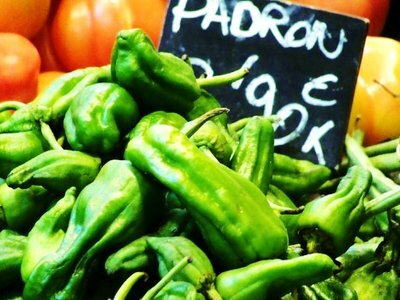 Mallorcan olives, we discovered, are absolutely delicious. 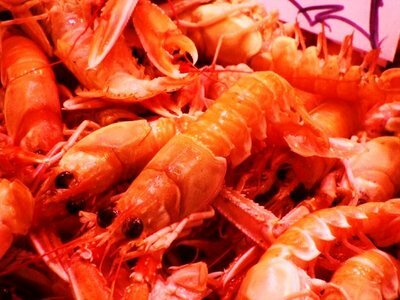 Big, juicy, and with a tender bite, they are bursting with flavour, and are the perfect aperitif to accompany the glowing afternoon sun. Spinach and courgette infused tortilla came as a welcome surprise to the old favourite, and thin-and-crispy tomato and herb smudged bread a variation on a theme of the Catalan classic. We sat in a sunny alley surrounded by balconies and colourful window shutters, and in the corner, once again, sat an old, rather forgotten, little church. It was quintessential-Mediterranean-atmosphere central, and we loved it! So naturally, we ordered more, and stayed longer, basking in the energizing warmth and perfect afternoon ambience. Before long evening fell, and we were eager to find a bar that we had seen reviewed on the Internet. To our delight, it was on the same street as our hostel! This bar is such a fantastic concept, that I can’t understand why there isn’t one in every city! 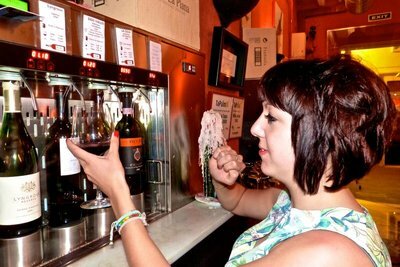 Wineing, as it is called, is a help-your-self wine bar, and with 48 varieties to choose from, you really can’t go wrong. Upon arrival we were presented with a type of credit card which was needed to activate the wine dispensers. You pop in the card, select the amount and variety of wine that you want, the price is loaded, and out pours the wine. What a great idea! And so much fun! A perfect way to end our day. Soon Sunday arrived, and it was time to say goodbye to Malloraca. But what memories did I bring back with me from Palma? Bright terracotta and golden toned homes. 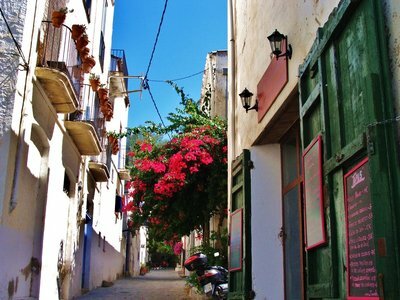 Winding, whimsical streets full of charms and temptations. 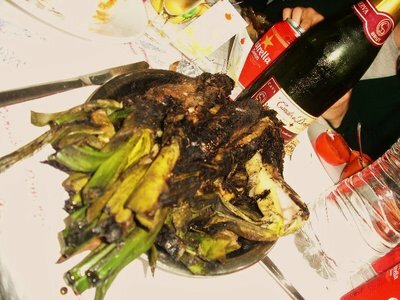 Divine cuisine and fun, fun wine. And of course, without a doubt, those much loved white three-quarters. A Medieval Wander of Wonders. 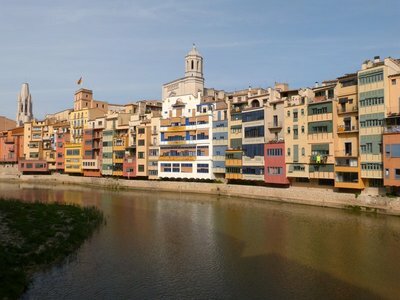 Without meaning to sound too cliché, a wander around the city centre of Girona really is like stepping back in time. As we emerge from the train station we quickly find ourselves in a medieval wonderland where meandering streets, crumbling walls and hidden, winding staircases appear unchanged for centuries. Its unspoiled architecture is evocative and telling and hurls our imagination amidst scenes of knights and lords, hungry battles and exquisite feasts. 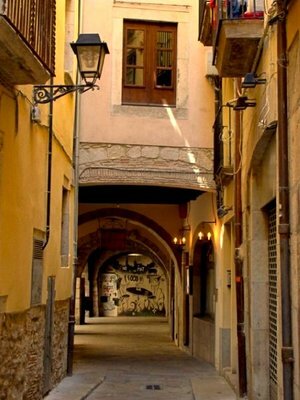 Sudden twists in the road, mysterious corners and intriguing nooks and crannies whisper tales of yesteryear and fire our thirst to delve deeper, to loose ourselves amidst the cloak-and-dagger alleys of old Girona. Colourful and captivating cobbled mazes lead us up and down, to and fro, around enchanting towers, ghostly palaces, imposing churches and secret gardens. We are overwhelmed by the historic vitality and magnetism of the place, and can’t help but feel as though we have been thrust into the setting of a troubadourian romance. 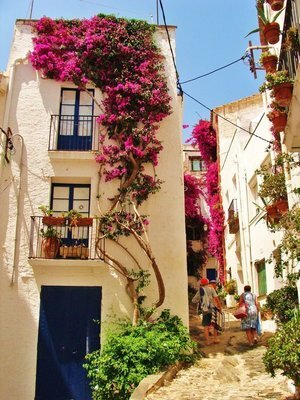 Warm-shaded pastel buildings line the streets like a perfectly set out fairy tale town, and rustic, flowery balconies offer the perfect setting for a theatrical outcry. Now and again we stumble upon a dark bend, a shadow-ridden, forgotten archway, and haunting thoughts of witches and plagues take over. 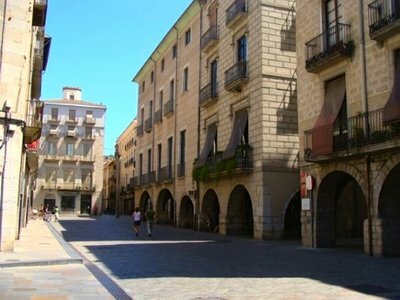 Girona would be an ideal set for a vibrant period drama, the characters perfectly posed on a real-life medieval stage. The old Jewish quarter is intriguing and bewitching, whilst the brightly coloured houses lining the river, charming and thought provoking. We can easily picture princes and peasants raucously filling the streets, dressed with swords and shields, rags and grime. Indeed, they wouldn’t look out of place there even today. Scenes and personalities of the Spanish Inquisition would indeed also suit the old city well, and we have no trouble imagining fervent ecclesial groups, chanting, tormenting, attacking, pungent incense and burning stenches taking over church squares. Today, thankfully, there’s no risk of us being burnt at the stake, and the Spanish Inquisition couldn’t be further from reality. Instead a passionate Catalan culture rules the way, and pro independence flags endlessly decorate the homes of locals. 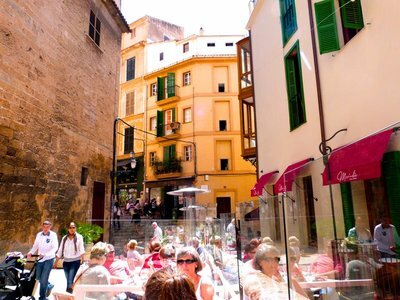 And it really is most enjoyable perching at a table in one of the many cafeterias of the Rambla de la Llibertat, or any other of old Girona’s enchanting streets for that matter, allowing the balmy sun to rouge our cheeks whilst musing over a coffee. And as we take in the simply wonderful atmosphere we can’t help but ponder what the future of Catalonia may hold. If we were to sit at this very table in ten years time, would we indeed be sitting in a new country, or in the Spain of old? Only time will tell. 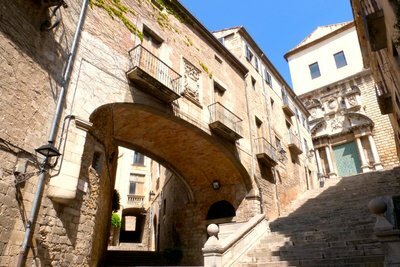 And since the old stone walls of Girona have already witnessed an epic and fascinating history, for them, it will be just one more chapter, in a long, and dramatic story. 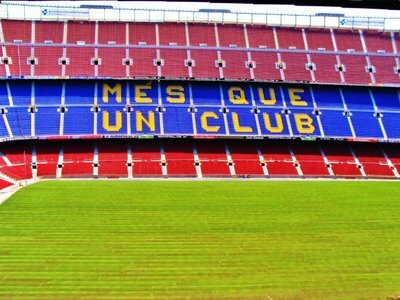 ‘Més que un club’, (more than a club) Barça’s motto really is somewhat of an understatement, for it is so much more than a football team. 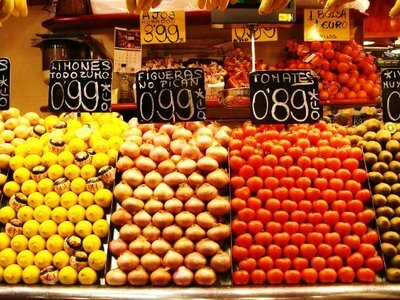 It is a culture, a beacon of hope, a way of life and is inextricably intertwined with Catalan identity. Its political connotations are undeniable, and Barça acts as both a fervent expression and international ambassador of the Catalan ideal. ‘Tan se val d'on venim, si del sud o del nord, ara estem d'acord’… ‘It doesn’t matter where we’re from, be it the north or the south, we are all in agreement’ proclaims the team’s anthem, and true it would seem, as for almost everyone I have met during my time in Catalonia, Barça is one of the main symbols of Catalan culture, one of their proudest emblems and their biggest international export. The pure joy they bring to people can be seen on endless occasions. 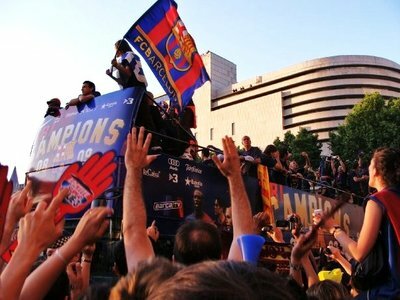 For me the most explosive expression of true devotion to the team was witnessed whilst experiencing thousands of fans taking over the Rambla in celebration of winning the Champions League – flags, flares, horns and fireworks filling the street like a Barça themed flying circus. It was then that it truly, dramatically and profoundly hit me, that Barça really is more than just a team. The intense awe manifested toward the club is captivating, exciting and mesmerising, and never more so than in the run up to and ardent final encounter between Barça and Real Madrid, when bars are brimming, literally to over-flowing point with burgundy-blue-clad die-hard fans. A deep and historic rivalry exists between the two and is passed down from generation to generation, for better, or for worse. 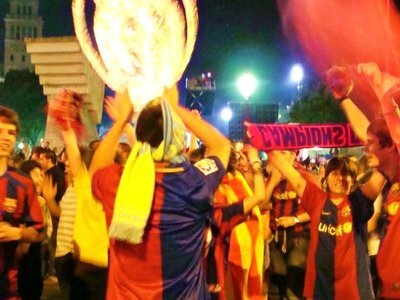 For better, in the innocent pride shown by children toward Barça – sometimes they will turn up for English class and shout with bursting joy, ‘Mira! Mira Laura!’ – ‘Look Laura! Today I’m wearing my Barça shirt!’. ‘Y mira també!’ – ‘And look! I’ve got the matching shorts too!’. Their excitement is so sweet that I can’t help but giggle. There is perhaps a ‘for worse’ however. 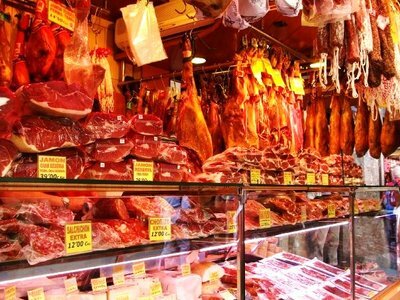 With the increasing hype surrounding the call for a referendum on Catalan independence, Barça has, whether it wanted to or not, become a tool used by many locals to express their political desires. And children have caught on. During a recent match I attended at Camp Nou some (probably no more than) five year olds were (no doubt copying what they have been hearing around them recently) chanting ‘In-De-Independència!’. This made me feel a little uncomfortable, as they probably had no idea what they were shouting but had learnt from those around them that this is what is now the norm to chant during a game. Anyway, politics aside, experiencing first hand a Barça match at Camp Nou is unforgettable. As we climb higher towards our stand and finally pop out amongst the sprawling seats, the impact of the sight before us is none other than overwhelming. The feeling that takes over as a miniature us is packed amongst a mighty sea of over 98,000 is exhilarating. And as the Camp Nou gloriously towers around us we really sense the dominating and truly impressive power that is Barça. And then come the goals. Now, I am by no means a major football fan, but watching Barça play is like watching a smooth, contemporary dance. Between fashionable launches to the back of the net, players pivot and twirl, flick and slide, with an ease and grace more often than not reserved for the stage. But, I guess in one sense that is what Camp Nou is – a stage. A stage for dramatic performances, enthralled audiences, rose worthy triumphs and heart wrenching defeats. And the players, to the football world, are like Shakespearean actors or products of the Russian ballet – seemingly flawless professionals treating the crowds to an unforgettable show with a standing ovation almost guaranteed. What honour the players must feel (we hope) and what an inspiration they are to millions far and wide. And we mustn’t forget the 1.5million euro donation Barça makes each year to Unicef – surely an example to all top league sporting teams. The figures speak for themselves. Barça is a footballing victory machine. But on top of the endless goals and titles, they represent something much more profound in this corner of Spain. Something that needs to be seen to be believed. Something that needs to be heard. And moreover, something that needs to be felt. 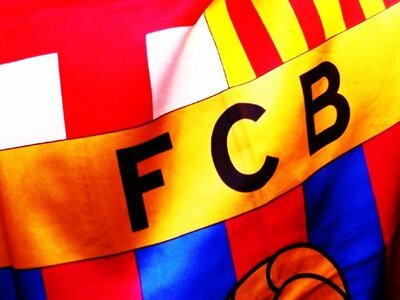 The pride, the emotion, the excitement, the expectation – they all form a part of what Barça is today, simply, més que un club. Spring is fast approaching. The floral scent of warmth is beginning to fill the air and the sky ever-changing into a deeper shade of blue. 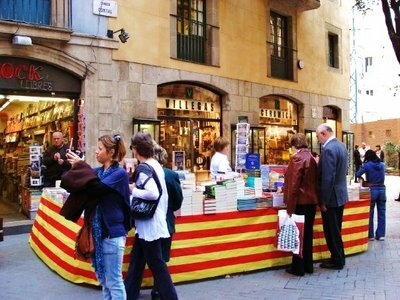 And just around the corner is El Dia de Sant Jordi - Catalonia’s national day, a true spring-time celebration and undoubtedly one of the best occasions on which to visit its vibrant capital city, Barcelona. The 23rd of April is a special day in numerous countries around the world with Jordi, or George, being remembered and celebrated in many different ways. But the events held in Barcelona really are something to be seen. 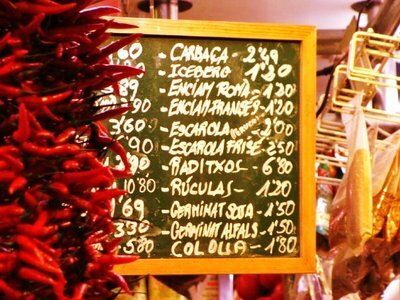 Las Ramblas, normally a chaotic, tourist fun-fair, is transformed into a romantic, artistic, living gallery filled with vivid colours, endless curiosities and classic charm. And there is an infectious feeling all round of national pride and joy. 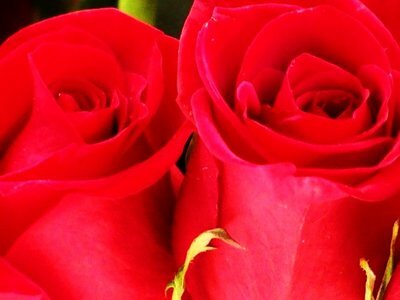 Relating back to the legend of Jordi, the princess and the dragon, it has become custom for men to present their beloved women with a rose on this day, and Las Ramblas is subsequently abounding with fantastic, captivating and at times awe-inspiring rose stalls. Infinite and exquisite, scarlet petals beckon our attention and hypnotize us as if they had fallen straight out of a fairy-tale. 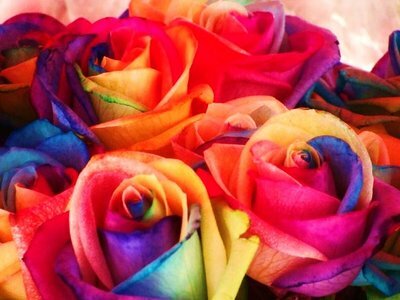 And it’s not only the traditional roses that take centre stage, but yellow ones, blue ones, purple and even rainbow ones - a true spectacle, and fully worthy of their gathering crowds. Coinciding with the story of Jordi, the 23rd of April also marks the anniversary of the deaths of both Miguel Cervantes and William Shakespeare. Of course, never ones to miss a reason to celebrate, the Catalans have added this into the mix as well, and the date has therefore become known as ‘the day of the book and the rose’. And the literary world has of course got in on the action, making it now typical for women to mark the occasion by giving a book to the man of their life. 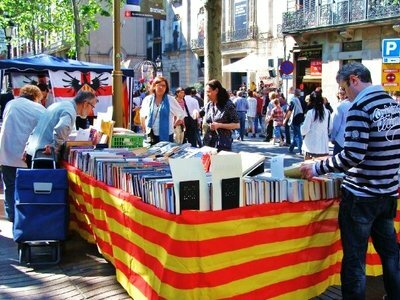 And so apart from the beautiful and bountiful displays of roses on Las Ramblas, book stalls also stretch far into the distance providing a uniquely curious yet enchanting atmosphere. 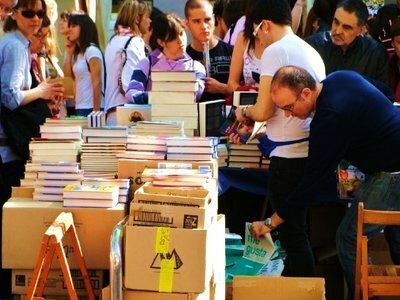 Book signings are common practice and throughout the day across the centre of Barcelona famous Catalan writers and TV personalities can be seen enjoying the festivities and posing for photos with their fans. 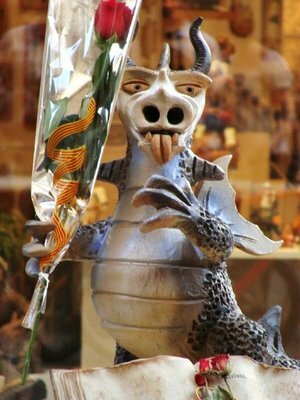 El Dia de Sant Jordi truly is an unforgettable day to be in Barcelona. 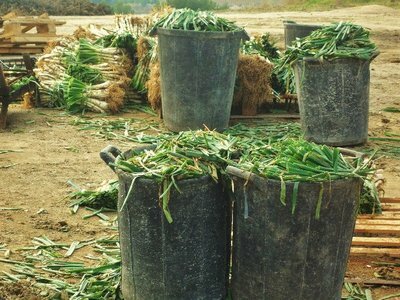 A magical sense of celebration is felt all round and the pride of local culture expressed to the fullest. 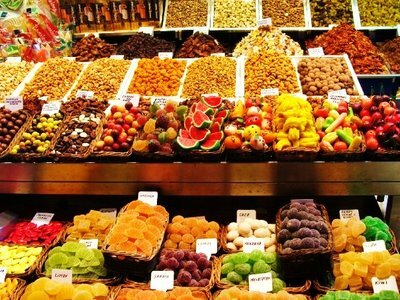 It is a perfect opportunity to really begin to understand Catalan identity, and what better way to do so than by wandering the adorned streets of historic Barcelona. All that’s left to do is to hope that someone bestows us with a book, or a rose.